Make crust by using food processor or chopping nuts and dates by hand. The crust needs to stick together when pressed into an oiled pan. Pre-make a flour or graham cracker crust. Bake and let cool before putting filling in. Use a double boiler to melt bag of chocolate chips. 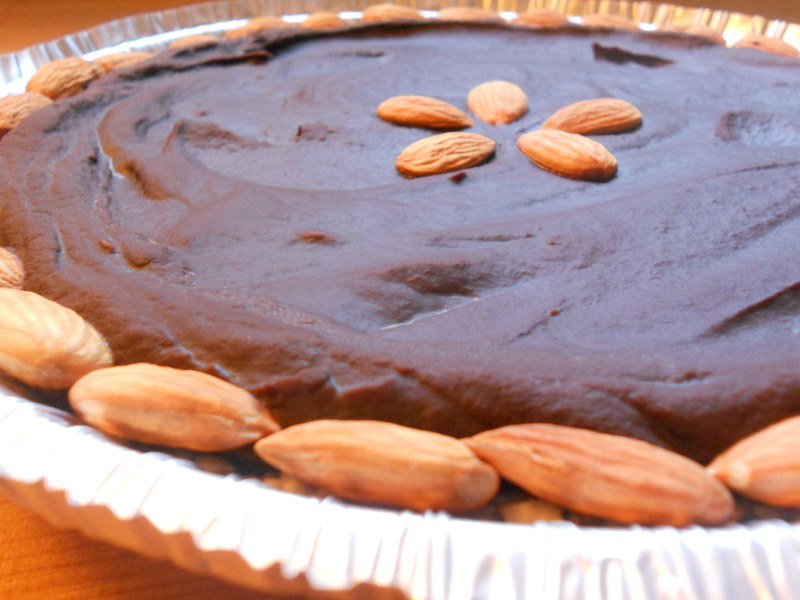 (Can also just use raw cacao nibs and agave with vanilla if you want to make this pie truly raw). Blend avocado until creamy and smooth in blender, mixer or food processor. Stir avocado into melted chocolate. Pour into crust and refrigerate until pie is set, at least 3 hours. *For creamier consistency use more avocados, for richer consistency more like a truffle use less avocado and more chocolate. 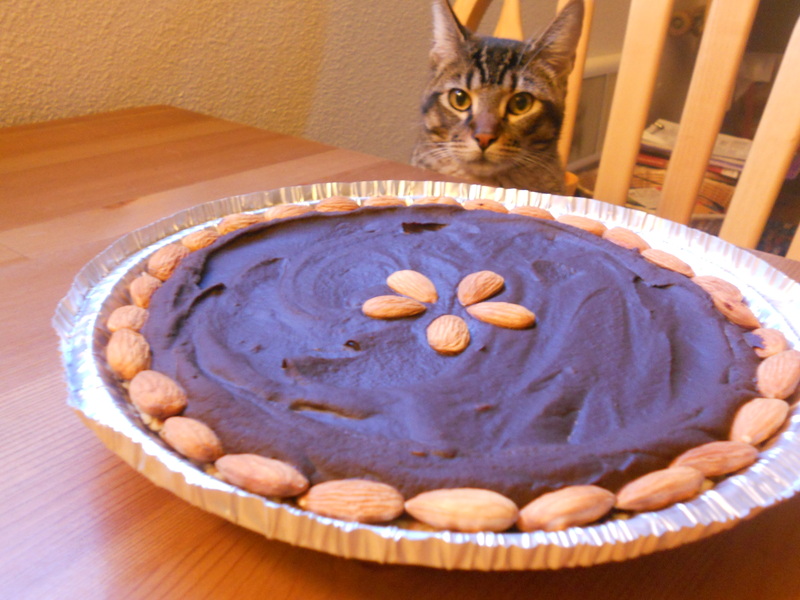 **Crust can be made from any variety of nuts, for example: coconut and almond; pecan and dates, with a hint of cinnamon. Then press into oiled pie pan. Be creative and use what inspires you!! !